In rock gardens, wooly thyme reigns supreme. This tiny-leafed plant is a perfect ground cover variety, and can tolerate poor soils. Growing thyme amongst your stepping stones is a great choice. While only tolerant of occasional foot traffic, it lets off a faint but beautiful aroma when stepped on. If planted out of the range of feet, it can be used as a culinary herb as well. Let’s explore this edible landscaping plant in a bit more detail! Soil: Well-draining, sandy OK. Does not have to be super-fertile. Water: Water when soil is dry in the top 3″, do not overwater. Not as pungently-scented as other thymus species, wooly thyme is still wonderful. Tiny, hairy leaves and stems give it its common name. These wooly creeping thyme plants stay very low to the ground, forming a dense carpet. In the late spring and early summer, miniature pinkish-purple flowers often form. Little flakes of color dapple this ground cover, looking like confetti sprinkled overtop. The leaves have a silvery hue because of their fine white hairs. Light to moderate foot traffic is best for this particular species. It grows well alongside of footpaths or on gravel beds. Popular in rock gardens as well, it’ll provide a nice counterpoint to the larger rocks. Like other members of the mint family, thyme can spread quickly once established. It’s tolerant of heat and drought conditions once it’s established, too! 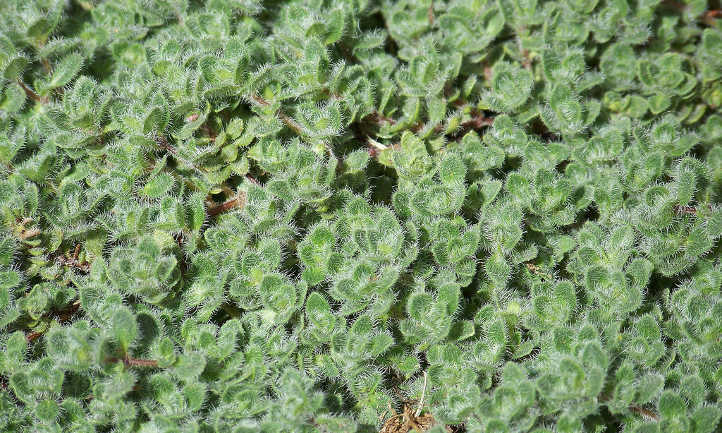 The origins of this fuzzy thyme are indistinct, but are believed to be in Europe. At this point, it’s grown worldwide. It can be used culinarily as well as grown for the delicate foliage. Thymus psuedolanuginosus has many different names. Let’s begin with the botanical names. Once called Thymus languinosus, it was later adapted to Thymus psuedolanguinosus. It has a synonym of Thymus praecox subsp. brittanicus. Commonly called woolly thyme, it’s occasionally referred to as wooly creeping thyme. The latter is mostly due to its affiliation with the praecox species. But it’s true that wooly thymes do creep! With this species, like other thymes, very little care is actually required. Once in place, it’ll basically handle itself, growing not much more than 3-4″ tall and a foot and a half across per plant. But for best growth, we’ve provided a cheat sheet. 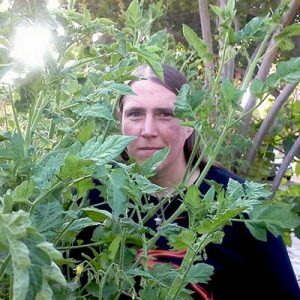 Here’s what you need to know to provide optimal conditions for your creeping wooly thymes! This sun loving plant handles full sun conditions like a pro. While it will grow in partial sun conditions, there still needs to be abundant ambient light. 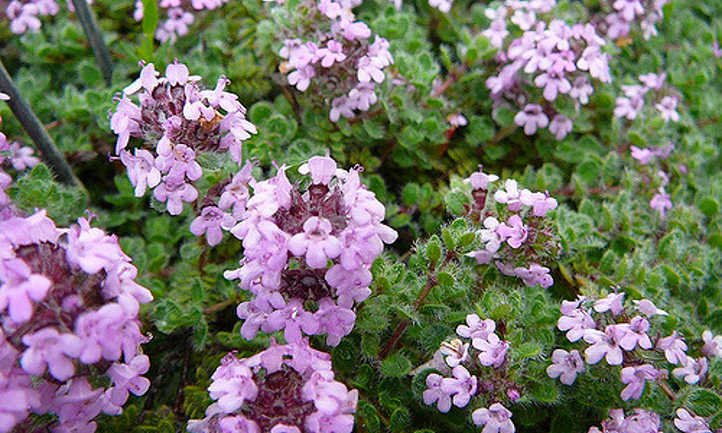 Heat has little to no effect on wooly thyme as long as it has enough water. If drought conditions set in, its growth will slow somewhat but it will still manage to survive. However, temperatures that are consistently over 100 degrees Fahrenheit can cause wilting. A little afternoon shade in excessively hot climates may be desired. As said above, this fuzzy thyme is reasonably drought-tolerant. In ideal conditions, it should be watered when the top 3″ of soil gets dry. If it seems to be wilting in the heat of the day, it’s a sure sign it needs some water. Avoid over-watering to prevent potential disease risks. In rainy seasons, don’t provide supplemental water. If the soil holds moisture well, the plant acts as its own living mulch once established. When it’s still young, adding additional mulch is a benefit, but leave about 3″ of space between the plant and the mulch. Thymes in general are tolerant of humid conditions. Be on the lookout for powdery mildew if the humidity is regularly over 50%. Generally tolerant of poor soil conditions, thymes are shallow-rooted. They want soil which they can grasp onto, but not soil that’s too loose. 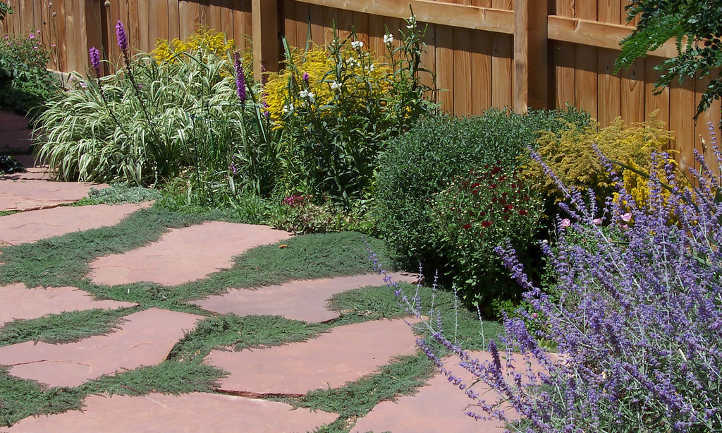 When preparing the area, remove all weeds to prevent competition for water and space. Your soil should be well-draining, possibly a bit on the sandy side. Too clay-like and your thyme won’t easily spread. If it’s too loose and fluffy, your plant may “float” on the surface if the soil gets muddy in the rain. Avoid severe compaction, but make sure it’s dense enough to hold your plant in place. The pH range of your soil should be neutral, and within in the 5.8-7.5 range. It prefers the 6-6.5 range but will tolerant slightly-acidic and slightly-alkaline conditions. Overly-fertile soil is not great for thymes. They’ll lose much of their fragrance and culinary flavor if overfed! To prevent this, use a half-strength liquid fertilizer once in the spring. You shouldn’t need to fertilize again until the next spring. If you’d prefer to avoid fertilizers, and many do for thymes, a side-dressing of leafy compost is just fine. There’s enough nutrients in the compost to provide everything your plants will need. Propagation of your thyme can be done from seed, cuttings, or layering techniques. Seed is usually the most common when first starting a ground cover of thyme. Many plugs can be started at the same time, then planted out at the same stage of growth. Once the thyme plants are established, you can propagate more from your plants. Look at the thyme and find a stem node where leaves attach. That’s a good place to take a cutting from. Remove the lower leaves, keeping the node intact. Gently press the thyme cutting into moistened potting soil. It will develop roots. You can also layer the thyme into place while it’s still attached to the parent plant. Look for those nodes, and gently remove leaves around the node. Then press it into the ground at that point, fully covering the node area. It will develop new roots at that point. As the thyme flowers dry out in the late summer, your thyme can start to look leggy. 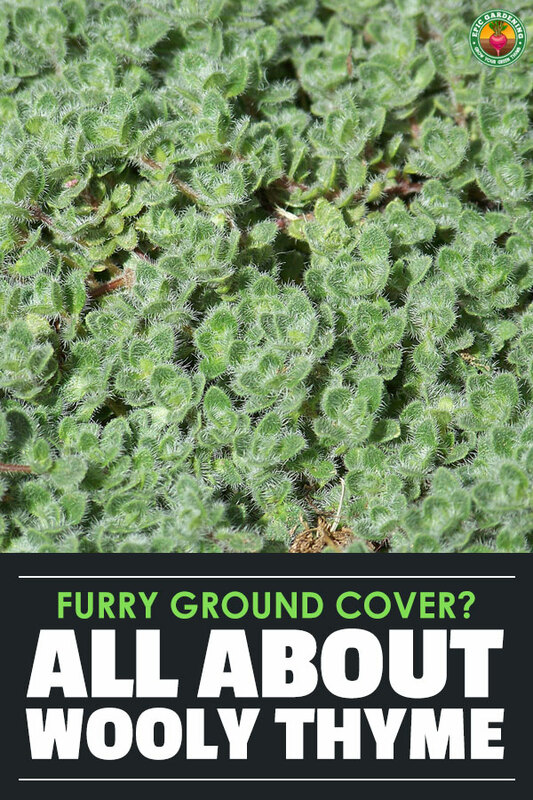 If it’s a ground cover, you can mow it with a lawn mower set to 3.5″ to even it up. Alternately, you can hand-prune to remove unkempt bits. Woolly thyme can be pruned at any time of year for culinary use. Snipping off a few stems on a regular basis will encourage your plant to continue to spread. As a general rule, this type of thyme stays about 3-4″ off the ground at maximum height. It can spread to about a foot and a half wide per plant. Like many herbs, the thyme family is immune to a lot of problems. But here’s a short list of the most commonly-experienced issues that might arise. If the soil is too wet, thyme may begin to have problems. The roots can start to suffocate from too little airflow. This can cause the plant’s foliage to start to die back. If it continues, root rot may set in. Be sure the soil is well-draining to prevent this problem. Poor lighting can also pose a hazard. If your thyme’s getting too little sunlight, it can begin to yellow or brown. Be sure it receives a minimum of 6 hours of sunlight daily. If you want your thyme to be consistently green and soft, regular trimming is required. This encourages a new flush of soft, green growth. If the center of an older woolly thyme plant appears to be going brown, that’s not abnormal. While it’s a perennial, it can go woody at the center of the plant over time. Pruning may delay this, but if the center of your plant goes brown, replace it with a new plant for ground covers. This thyme is often used around flagstones or stepping stones in gardens. It’s tolerant of light to medium foot traffic. But if it begins to grow across the stepping stones, prune that portion back. The grinding of the stem against the stone can create damaged patches that allow disease to set in. Very few pests bother thyme, and for that matter a number of other herbs. The oils in the leaves tend to deter them. Red spider mites may live in and around your thyme. A light spraying of neem oil should dissuade them from taking up residence. Most other pests won’t even bother, but you might find spiders living in or around your plants. The creeping wooly thyme provides a great shelter for ground-dwelling arachnids. Most diseases won’t impact your plants, and for that you should be thankful! But there are a couple which might appear. While it’s relatively rare, powdery mildew can move in. Occasional spraying of neem oil should prevent this problem. This is usually most prevalent during warm, rainy conditions. Good airflow in your thyme bed will also help prevent its development. Various soil-based fungal diseases like phytophthora can attack the shallow roots. This usually only happens if the plant is stressed from overwatering. To avoid root rot conditions, ensure the plant’s in well-draining soil. Lower-fertility soil or sandier soil works just fine for your thyme! Whether you’re growing it as a replacement for your lawn or as a culinary herb, you will love this plant. There is always time for some silvery thyme!